Parents sometimes treat their children who have a poison ivy rash with home remedies to try and control the itching. Home remedies may work for very mild cases. But a visit to your pediatrician for prescription poison ivy remedy is often needed, especially when your child has a poison ivy rash on the face or all over his body. Learn about these poison ivy remedies and other frequently asked questions about treating poison ivy. Frequently asked questions that parents have about poison ivy usually revolve around how to get rid of the poison ivy rash and how to avoid it in the future. Some other things people think they know about poison ivy should likely be questioned, though, as they are mostly myths, and might result in kids being inappropriately treated or exposed to poison ivy. Myth: Many people are immune to poison ivy. Not true. While some are (maybe 10 to 15% of people), most develop a reaction when exposed to poison ivy. It sometimes takes multiple exposures, though, which may explain why some people seem to be immune to poison ivy. Kids often don't begin to develop poison ivy rashes until they are between 8 and 14 years old, which may give some parents the belief that their child is immune to poison ivy while instead they were just at an age when they were less susceptible to poison ivy. Myth: Some people can develop a rash just being close to poison ivy. Not true. Urushiol, which triggers the reaction, is only released when a poison ivy plant is injured or bruised, so just being near a plant or even lightly touching it shouldn't cause a reaction. Myth: Your kids can avoid poison ivy by just remembering "leaves of three, let them be": Not enough. Poison sumac has more than three leaves. While poison ivy and poison oak have three leaves, the roots and stems can still trigger a rash even when their leaves are gone. You likely need to do more to educate kids to avoid poison ivy plants and a poison ivy rash. Poison ivy is a type of weed that can trigger an allergic contact dermatitis in most people who come in contact with it, or more specifically, the urushiol resin, in the leaves, stems, or roots, of a poison ivy plant. Other "poison" plants in the same Toxicodendron genus include poison oak and poison sumac, and although these plants look different, they all contain urushiol and can all trigger the same type of rash, so are often all grouped together in talks about poison ivy. Plants that can trigger a poison ivy rash grow all over the United States, except Alaska and Hawaii. Is There a Cure for Poison Ivy? There is no real cure for poison ivy. The closest thing to curing poison ivy might be those poison ivy remedies that work to remove the urushiol from poison ivy that gets on your skin and triggers the poison ivy rash. To be most effective, or sometimes to even have any chance at working, you typically have to try and wash off the urushiol after being exposed to poison ivy within 5 to 20 minutes -- the sooner, the better. It might also be helpful to see your pediatrician at the first sign of a poison ivy rash if your child is prone to severe poison ivy reactions because early, aggressive treatment with steroids may be helpful. Poison ivy home remedies can help to control and reduce the main symptom of poison ivy -- itching. Parents often think that poison ivy is contagious because, like many red, itchy rashes, it looks contagious. Unlike other skin rashes, such as scabies or chicken pox, you can't get poison ivy by touching someone else's poison ivy rash, though. 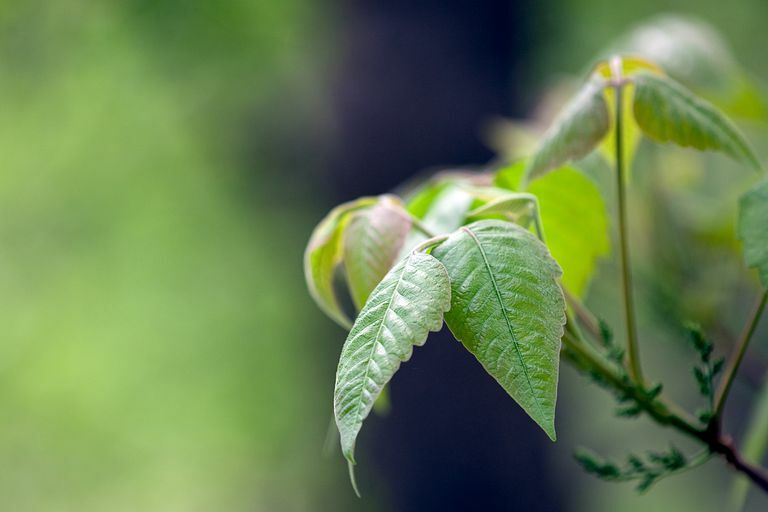 Urushiol can bind and penetrate the skin very quickly, which is why poison ivy experts say that you only have between 5 and 20 minutes to have any chance of washing it off and avoiding or at least reducing the poison ivy rash. In addition to not being contagious, that is why you can't spread poison ivy around after you have been exposed. Why Is My Poison Ivy Spreading? After being exposed to poison ivy, susceptible kids often develop the classic poison ivy rash on one or more small areas of their skin. Over the next few days to a week, the rash typically then spreads to many other areas of their body. This pattern makes many people think that there is something on the rash or in the blisters that the child spreads over their body while scratching. You don't actually spread the poison ivy once you break out in the rash, though. What is happening when it seems that poison ivy is spreading is that the skin that broke out in a rash sooner likely just had more exposure to the urushiol in poison ivy that triggers the rash. Other areas of the body that break out later probably had less contact or is an area of skin that is less reactive to urushiol, perhaps because the skin is thicker in that area of the body. Urushiol can sometimes remain on clothing, which can continue to trigger a poison ivy rash over and over every time someone touches or wears the clothing. Or a child can continue to be exposed to poison ivy outside if he doesn't recognize the poison ivy plants. Having some urushiol on your fingernails from the initial exposure might also be a way that you could spread the rash around more as you touch other areas of your body that weren't exposed the first time. Mark BJ. Allergic contact dermatitis. Med Clin North Am. 01-JAN-2006; 90(1): 169-85. Tanner TL. Rhus (Toxicodendron) dermatitis. Prim Care. 01-JUN-2000; 27(2): 493-502.